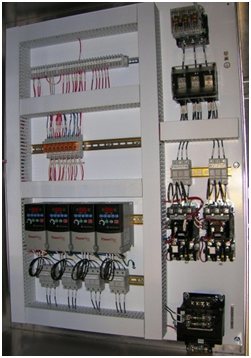 DYNATEK is fully equipped to provide control panels for its Loading systems. Working closely with each customer, motor starters, control voltage transformers, variable frequency drives, fusing, power disconnects, and control enclosure ratings are carefully selected for function, reliability and serviceability. Broader process integration and operational feedback can also be provided via PLCs and custom programming. 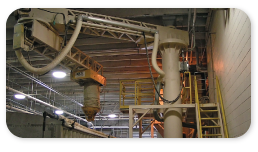 Loader performance optimization begins with selecting the best conveying technology. 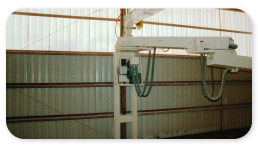 DYNATEK makes that easy by offering articulated loaders to accomodate your specific requirements.